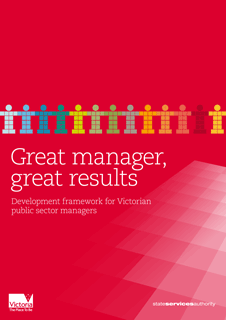 The Victorian Public Sector Commission developed A Guide to People Metrics to support the Victorian Public Service and the broader public sector’s human resource functions in their use of data and measurements. The guide provides an introduction to metrics and people metrics. It guides those working in HR in how to use people metrics to demonstrate the efficacy of HR initiatives in supporting the delivery of the organisation’s strategic goals. The guide is supplemented by A Dictionary of People Metrics.